Supporting MIDI CC’s. Volume, Pan, and CC’s for parameters and knobs are important. Apps should both send and receive CC’s. The option to set a Channel that the app listens for (don’t just do Omni). Network MIDI support (optional). App should at least specify if it supports it. 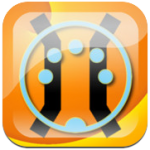 MidiBridge is one of the many apps that now supports OMAC for remotely switching apps. It is a comprehensive MIDI tool that iOS is missing and absolutely essential for anyone using MIDI with an iDevice. It’s a backgroundable virtual MIDI patchbay/router/manipulator that interconnects all MIDI interfaces (external, virtual and network) on an iOS device at a fraction of the cost of equivalent hardware. – New App Selector module to bind incoming MIDI messages (user specifiable) to invoke fast-switching via MIDI to/from OMAC apps. See our website for full details and a demo video on our youtube channel. – Support for OMAC fast-switching via MIDI messages. We thought this was a pretty cool and useful new feature! You can use TouchOSC and and iPhone or iPad Touch to control as well as a midi controller device. Browse our website for a wealth of information to get to grips with CoreMIDI, OMAC and MidiBridge. The full manual for MidiBridge and helpful guides are available there for you to assess whether MidiBridge is suitable for you before you purchase. You’ll find step-by-step recipes for common situations and links to videos too. If you search MidiBridge on youtube there are a host of end-user videos showing how to configure MidiBridge for different situations. Do also contact us if you are unsure about anything and we’ll assess whether MidiBridge will do the job. Note: iOS5 is recommended and essential for running the Synthstation and Midi Mobilizer I in the background. CoreMIDI available in iOS4.2 and up (although MidiBridge will run on iOS3).